The Novices of Sais is a Romantic meld of poetry, philosophy, and transcendental journey. Revolutionary yet profoundly simple at once, Novalis’ reverence for the natural world pours out of every page. Translated into French in 1925, it was embraced by artists and poets alike and is often quoted by the Surrealists. Paul Klee’s drawings were inspired by this visionary exploration of the inner life of modern humankind. 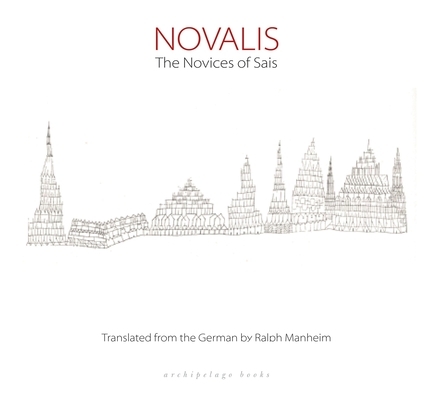 Novalis (Friedrich von Hardenberg) is one of the great pillars of German Romanticism. He is perhaps best known for his volume of poetry Hymns to the Night and his novel Heinrich von Ofterdingen —where his elusive "blue flower" was planted. He died at the age of 29 in 1801. Ralph Manheim was one of the great translators of the 20th century. He translated the works of Günter Grass, Bertolt Brecht, Louis-Ferdinand Céline, and Hermann Hesse, among others. The PEN/ Ralph Manheim Medal for Translation is a major lifetime achievement award in the field of translation.